Proud to announce the NEW Heart of the World Spiritual Retreats led by author John Lundin. The week-long retreats are one-on-one for individuals and couples, and are all-inclusive, with accommodations, all meals, meditation instruction, spiritual guidance, and excursions to the surrounding natural attractions included in one low price. Each personal one-on-one retreat is led by John Lundin, author of The New Mandala - Eastern Wisdom for Western Living, written in collaboration with His Holiness the Dalai Lama, and Journey to the Heart of the World, written with the indigenous elders of la Sierra Nevada de Colombia. that carries ancient wisdom, wrapped in a vision quest, inside an adventure story." 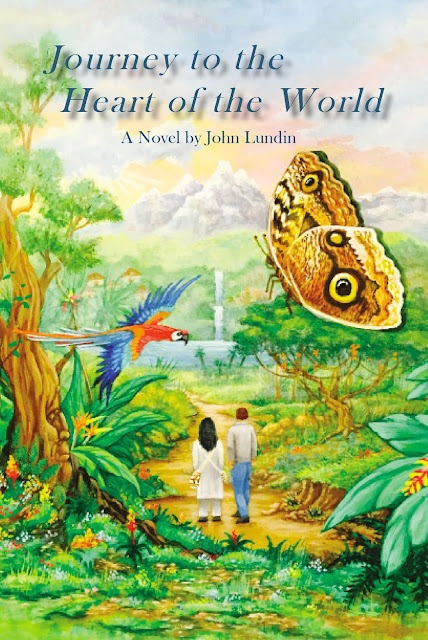 When a teenager from the Catskills is led by a talking butterfly to the mountain home of a lost tribe in the mountain jungles of South America, the elders’ sacred teachings initiate dream-like adventures through his past and future lives, revealing the secrets of their spiritual and environmental message – and the purpose of life. 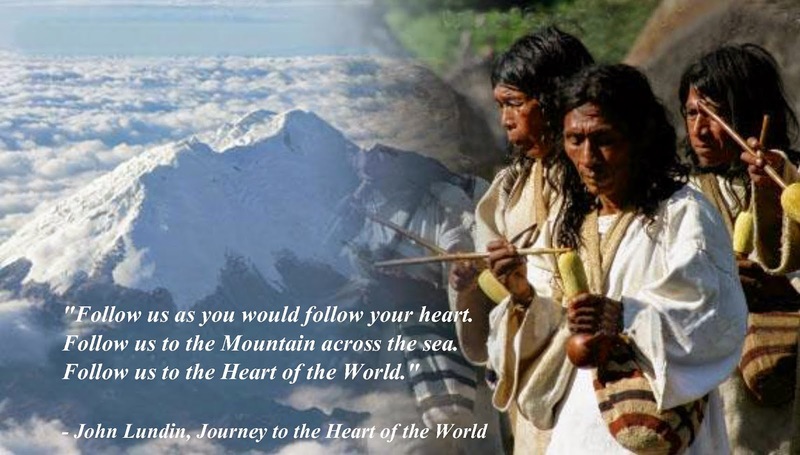 Journey to the Heart of the World is a work of fiction, a fantasy, but one grounded in fact and rooted in Truth - truth that is as old as the original peoples of Planet Earth. As with any work of fiction, it is in part autobiographical, having been born out of my own very personal journey to the heart of the world and my own on-going spiritual quest. My spiritual journey has taken many twists and turns, the first being a mid-life career change into the Protestant Christian ministry, with my first formal spiritual education being the pursuit of a Masters of Divinity (M.Div.) degree from Chicago Theological Seminary at the University of Chicago. During the course of my ministry on the South Side of Chicago, which included parish ministry as well as pastoral counseling and hospice chaplaincy, I participated in the 100th Anniversary Parliament of the World's Religions in Chicago. 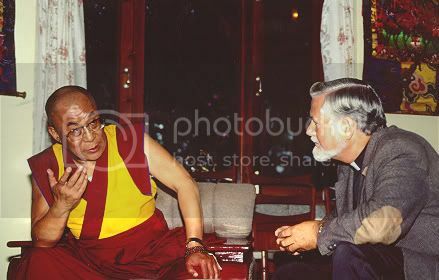 The Dalai Lama was the keynote speaker, and that experience indirectly led to my being invited to spend time with His Holiness the Dalai Lama and the Tibetan Buddhist community in Dharamsala, India. Out of that experience came my first book, THE NEW MANDALA - Eastern Wisdom for Western Living, written in collaboration with His Holiness. After a year and a half in India, studying with the Dalai Lama and other high lamas and spiritual teachers, I returned to the United States and joined the staff of Menla Mountain Retreat Center, an endeavor of Tibet House New York and loosely affiliated with the Office of His Holiness, where I assisted in leading spiritual retreats. In 2011 Menla Mountain hosted an historic gathering of Native American Elders from throughout the Americas. It was during that amazing spiritual event that I met the delegation of Elders of the Kogi, the Arhuaco and the Wiwa from la Sierra Nevada de Santa Marta in Colombia. 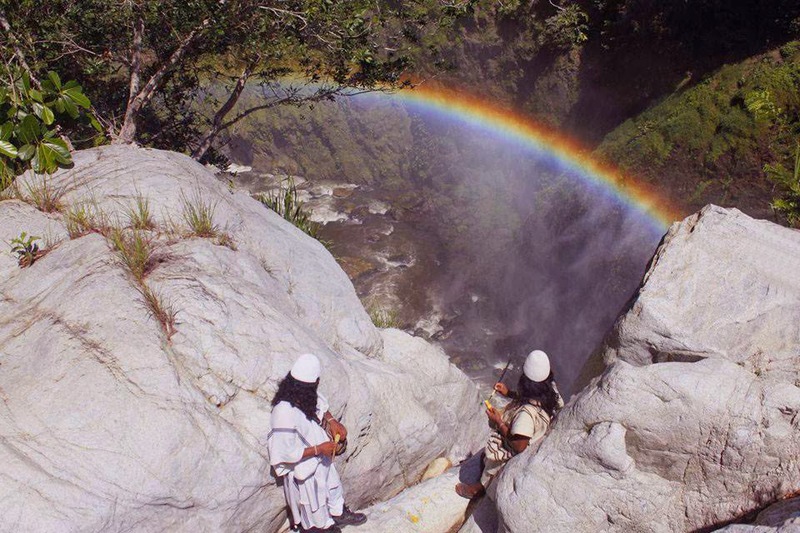 We became spiritual brothers almost immediately, and they invited me to come to Colombia, to learn from them, and to write a book that would share their urgent environmental and spiritual message with the world. My spiritual journey has been traveled a little bit 'backwards.' It began with contemporary American Chris-tianity and then a classical European-style seminary education that included a good deal of European histo-ry and the religion of the ancient Hebrews. That was followed by my introduction to Buddhism, which pre-dates Christianity by some one thousand years, and the Hindu tradition which is much older than that. Finally, I have come somewhat full circle, having been immersed in the oldest 'religious' tradition on Earth - the spirituality of the first peoples to inhabit the planet. What I have learned along the way is the commonality of all the world's spiritual traditions, not spending much time dissecting their obvious differences. It is the universal truths of the world's traditions that has most profoundly impressed me. In the end there is no Christian or Jewish truth, no Buddhist or Hindu truth, not even any uniquely indigenous truth. There is only Truth. What the peoples of la Sierra and other original peoples call simply the Natural Law. We are all on a journey to the heart of the world. From the moment I was invited to join my indigenous friends in Colombia, it has been my hope that I might come to more deeply understand that Truth, and then be able to share the wisdom of these ancient modern-day prophets. They are our ancestors, and their environmental and spiritual message - that our Earth Mother is gravely ill and we must change our ways if she and we are to survive - is a message that we need to hear and pass on to the next generation. It is the young people of today who hold the fate of the planet and humanity in their hands. It was with a hope that we, you and I, might one day be good ancestors to our children and grandchildren, that I listened intently to my wise teachers and wrote this little book. It is a fiction since I firmly believe that fantasy engages the reader's imagination in a manner that no mere facts are able. I have tried to make the hero, Adam, someone we all can identify with. His transformation can be our transformation. And ultimately we can all fall in love with our Earth Mother all over again, can return to our ancient understanding of the interconnectedness of all of life, and begin again to follow our evolutionary calling - to become the Heart of the World, the loving, caring compassionate heart of the living planet. JOHN LUNDIN is the author of THE NEW MANDALA – Eastern Wisdom for Western Living, written in collaboration with His Holiness the Dalai Lama. The shamanic Elders of the dece-dents of the Tayrona in northern Colombia invited him to be one of the few outsiders to ever live with them and receive their sacred teachings. The Elders have asked him to share their urgent spiritual and environ-mental message with the world. Mr. Lundin earned his Master’s Degree in theology from the University of Chicago, and teaches world religions and cross-cultural spirituality, and leads meditation workshops and spiritual growth retreats throughout the world. He is currently living in la Sierra Nevada de Colombia. 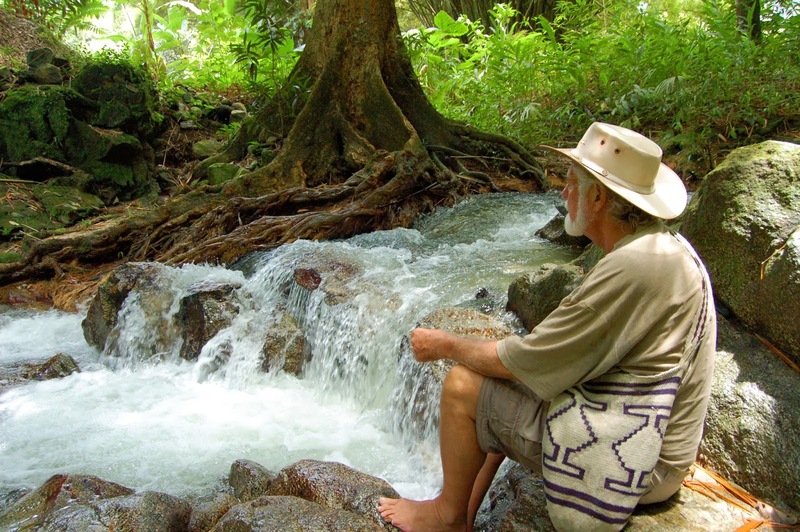 John Lundin is currently living with the indigenous peoples of La Sierra Nevada de Santa Marta in Colombia, learning from them and writing a new novel that will share their spiritual and environmental message with the world – their message that our Earth Mother is gravely ill and she will surely die if we, the ones they call the Younger Brother, do not change our ways. 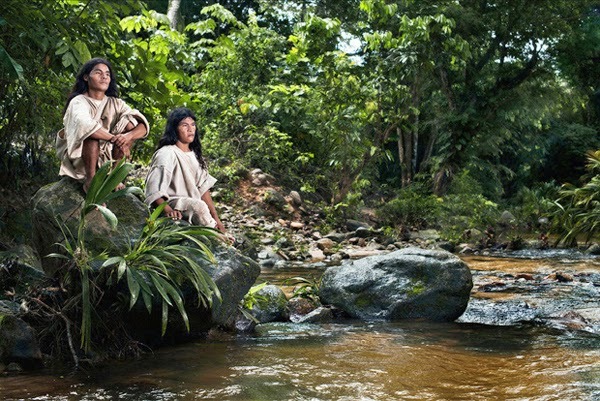 The Arhuaco and Kogi, descendants of the ancient Tayrona, fled the onslaught of the Spanish conquerors and shut themselves off from the outside world. Their way of life has remained largely unchanged for more than five hundred years. They consider themselves – and their sacred mountain home – to be the Heart of the World. The elders have invited author Lundin to live with them, to learn from them, and to write this new book to help them share their urgent message. 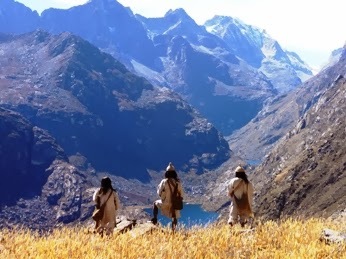 This is an excerpt from the novel under construction, Journey to the Heart of the World, and is a teaching from the elders – the Mamos – that was actually given to the author and which has been fictionalized in the book. The hero of the novel is Christian Castagno, an 18-year-old teenager from New York who is led by a talking owl butterfly to the mountains of Colombia where he receives the life-changing teachings of the elders. He carries with him a letter given to him by his mother on the day she died of cancer, a letter that guides his spiritual quest. I put a generous pinch of the dry leaves into my mouth and chewed on them. They had very little flavor, but soon there was a slight tingling sensation on my tongue and cheek. I did as the others were doing; I chewed on them as I would chew gum or maybe chewing tobacco. It didn’t seem to be giving me any kind of a high or anything like that. Niankua and the others kept working their gourds, their poporo, constantly dipping the stick in the gourd, dipping it in their mouth, and seeming to paint the sides of the gourd with it. Me, I just kept chewing my coca leaves. “When a young boy is recognized by the elders as a future Mamo, he is brought to a place away from the others, to his own hut, where he is hidden from all distractions and carefully taught by the elder Mamos. He learns how it was in the beginning, and learns the long story of our people, the original people. He discovers Aluna, how to enter into her world, how to divine what she is revealing to us. He learns how we are called to care for our Earth Mother. He learns how to heal. He discovers everything that has been passed on to the Mamos before him. In time it is all revealed to him, so that one day he can be a leader and can pass on all that has been revealed to him, so he can show the way to those who will follow. This teaching takes many years for the young Mamo. Niankua looked deep into my eyes as he delivered his solemn warning directly to my heart. His eyes were almost tearful as he made it clear this was serious business. We were about to begin the teachings that he fervently hoped would change my life and begin to change the world. I felt like I felt when my mother first started schooling me at home. With her I always felt I was being given the gift of knowledge, not just facts to memorize; revelation that would pique my natural curiosity, knowledge that would inform my experience and grow into wisdom. She always told me the Earth was our best teacher, and I felt as though she was speaking to me now. He motioned for me to rise and follow him to a point on the hill where we could view the entire valley and the mountains beyond. With a sweeping wave of his arm he pointed to the broad horizon. I was looking out at the world from my new vantage point. I was watching the water, watching the birds, watching the sky, and already starting to see everything in a new way. It was as if I was seeing it all for the very first time. It was as if my new teacher was holding the world in his hand and rotating it, turning it around and around and saying to me, look at it in a different way, from a different angle. Look at it from here. Look at it this way. All of this, everything, was created in the imagination. “Everything was created in the imagination of Aluna. First she imagined the sky and the sun and the moon and the stars. She imagined them into being. And then she imagined the land and the mountains, the oceans and the rivers, and then she imagined the plants and the animals and the birds into being. He explained that the Mamos knew all the details of how everything was created but that it would take nine years to explain it all to me, and the details were not something I needed to know anyway. The process of creating, of bringing that which was imagined into being, was like spinning thread on a spindle, like the men weaving their clothing on the loom, like the women weaving the mochilla with their hands. He motioned again toward the world that was spread out before our eyes, and then reached down and took hold of a yellow flower growing at his feet. A butterfly landed on the flower he was holding, not an owl butterfly this time but a bright yellow one, the color of the flower he was holding. Niankua extended his hand toward the butterfly who fearlessly came to rest on his finger. “The mountain is the heart of the world, and those of us who care for her are the heart of the world as well. There is no difference, no separation; we are one - the mountain, the people, the heart of the world. The mother created the people, created them from her offspring, from her first born. She created the first peoples to look after her creation, to care for it, to be the caretakers of the world, to be the heart of the world here on the mountain that is the heart of the world. The plants and the trees, the animals and the birds were placed in the people’s care, not for the people to dominate and exploit but for the people to take care of. The fourth Mamo took another branch in hand and again drew a line on the ground. 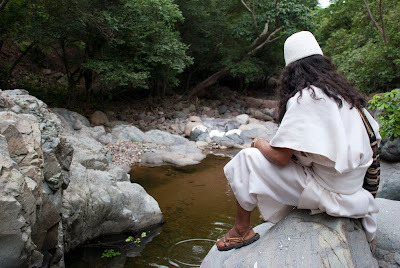 The four Mamos motioned for me to follow, and we made our way down the hillside toward the river and eventually to a collection of large boulders at the edge of the water. They pointed to strange markings on the stone, lines that were not unlike those on the rocks I had seen earlier in the Lost City. They led me across the river, not across the bridge this time, but by wading through the shallow water. The Mamos don’t wear shoes or sandals, they explained, because they want to feel the land, feel the water. They’re always connected to the Earth in this way. Sandals on their feet would create a disconnect, an unhealthy separation. Touching the land with the soles of their feet is a constant reminder that they are one with the earth. They must have very strong soles since they’re constantly walking the trails and climbing the hills and crossing the river in their bare feet. I removed my shoes and waded into the river. The sun was already very warm and the icy cold waters were invigorating. 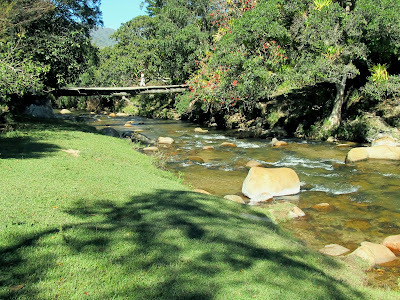 We crossed the river and walked toward the hills on the opposite side of the valley and began following the trail upward. There were clusters of huts and the villagers would peer at me through the open doors, the children peeking from behind the safety of their mother. I was the pale-faced curiosity, for sure. We continued walking for a considerable distance, at times climbing very steeply up the mountain. The Mamos walk very briskly and it was often a challenge for me to keep up. As we got higher and higher I could occasionally catch a glimpse of the snow-capped peaks in the distance, barely visible through the clouds just above the nearer mountains. We climbed to the top of a ridge and started down the other side when I heard the sound of rushing water. The river water back on the floor of the valley had been very calm, but this was a loud and powerful sound. As we made our way down the steep hillside I could see a deep canyon below with the waters tumbling through it and down the mountain. And above the waters was a giant stream of water cascading down the entire height of the mountain before us. The waters fell hundreds of feet into the pool below before continuing over the edge into the canyon stream below. I have seen many waterfalls, before and since, but this may have been the most beautiful of all. For some time we all stood silently, reverently gazing at the majesty of the water. It was a moment of meditation, of prayer. For a teenager like me it could easily have been a time to jump into the blue pool and frolic under the cascading waters, but that’s not what this particular moment in time called for. The Mamos quietly watched the waters fall and worked their poporu. I followed their lead and my mother’s advice - I watched the water, watched the water in awe and deep respect. It was clear the Mamos had brought me here for a reason, for another important lesson. 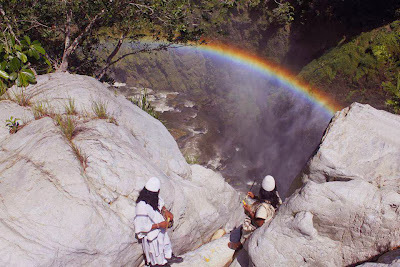 I knew that, of course, but with the backdrop of the magnificent waterfall the message of the Mamos was powerful. In the beginning was the water. Water is life. Take away the water and you take away life. End of story. The teacher waded into the water at the base of the waterfall and beckoned for us all to follow. He held his poporu in both hands for a moment, lifting it toward the waterfall, offering a blessing. He dipped the stick in the poporu and then into his mouth. He placed the poporo in his mochilla, and with both hands he scooped up the water. Several times he scooped up the water and let it fall through his hands, through his fingers, the waters sparkling in the sun, the bubbles dancing on the pond. He lifted a handful of water and held it out toward me, for me to look into. He turned his back to the waterfall and looked out at the horizon ahead, at where the water flowed to the edge and over the rock, falling in another cascade to stream into the ravine below. From there the water continued its journey down the mountain, joining the river below, and eventually making its way to the sea. Ahead we could see the whole valley and the mountains on the other side, and the snowy peaks above it all. I had never thought of water in this way before. I have to admit, I had probably pretty much taken water for granted. I had always known water in my life, plenty of water, enough for drinking, taking a shower, watering the plants – there was always water around me and always enough water. It never ran out. So I guess I just took it for granted. Sure, I enjoyed looking at a beautiful lake or watching the sea as much as the next person, and I knew there was life in the water, the “little beasties” we had seen through the microscope in science class, but I had never seen water in this way before. I was seeing it in a different way, from a different perspective. Like the butterfly, the Mamo seemed to know what I was thinking. I would never view water in the same way again, never again take it for granted. “In the beginning there was the ocean of Aluna, the waters of pure consciousness, of mind, of creation. It was in the beginning, it has always been, it is now. Aluna created all and is still creating. Aluna imagined all before time and is now imagining the future. We can enter into Aluna, into her memory and into her vision, by watching the water, by looking deeply into the bubbles of the waters. It is in the bubbles that we can read the memory of all that ever was. It is in the bubbles that we can see a vision of our future. It is by entering into Aluna, by concentrating on all that is revealed in the colors of the bubbles, that our consciousness becomes one with the mind of Aluna. We were all born of Aluna, we are one with her and anyone can return to Aluna at any time. The Mamos enter into Aluna all the time. “The Younger Brother has forgotten how. When the Younger Brother left the mountain behind he also left behind his connection with Aluna. Younger Brother lives his life without any sense of oneness with Aluna. The Mamos are different; we have never lost our way, never left Aluna. We return to the realm of Aluna every day. It is in Aluna that we first discovered the law of how things were and how things were to be. It is in Aluna that we continue to discern what we are called to do, to discover our job, to learn the purpose of everything in life and to know our place and our purpose in the Mother’s great plan, in her mind, in her vision for the future. And it is in Aluna that we can see beyond the beyond, what is happening in the world beyond the mountain. I believed him. He could see the water as I had never seen it. He could read my mind. He could surely see the past and read the future. He was like a magician, but I was beginning to realize he was simply seeing clearly what was already there - there for anyone to see. The Mamos had never taken any of it for granted; they had never lost their ability to see with eyes wide open. The Mamo silently worked his poporo, rubbing the stick on the shell of the gourd, seemingly looking into the memory that had been inscribed over the course of many meditations. 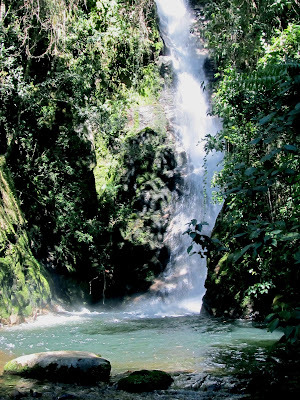 Each of the Mamos in turn offered a blessing in the direction of the waterfall, and tossed offerings from their mochilla into the waters below. Then they motioned for me to follow them down the mountain, pointing out plants and animals and special trees to me as we walked. “We will show you the changes. We will climb the mountain to the snows, we will go down to the sea, we will follow the river, follow the water, and you will start to see. Today we will return to the village, to our river, and you can chew on all we have shared. And you can start to watch the water. Watch the water and begin to see what you have not seen before. Begin to open your eyes to what the bubbles will reveal. They took me back to the valley, to the river, and the led me to a place by the water where I could see the rushing waters tumbling down the hill into a calm pool of water at my feet. I could sit on a broad flat rock and look at all the waters – the calm waters, the rushing waters, the sparkling waters and the bubbles. “This is your work for the rest of the day. Watch the water. Find yourself in the bubbles. Let yourself become one with the water." 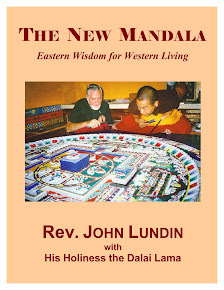 John Lundin is the author of THE NEW MANDALA – Eastern Wisdom for Western Living, written in collaboration with His Holiness the Dalai Lama. His new novel, JOURNEY TO THE HEART OF THE WORLD, will be published in 2014 by Humanitas Media. A motion picture and transmedia adaptation is also in development in collaboration with Executive Producer Buck Allen. I have officially arrived in La Sierra Nevada! Research and initial writing of my new book, presenting the spiritual and environmental message of the Elders (the Mamos) of the four indigenous peoples of La Sierra - the Kogi, Arhuacos, Cankuamo, and Wiwa - is officially underway. After spending four months in Medellin, engaged in research and improving my Spanish, I have now established a “home base” in Minca, in the foothills of La Sierra Nevada de Santa Marta, a half-hour by car from the port city of Santa Marta. Minca is located in a “coastal jungle” climate zone, at about 2,500 feet altitude. The jungle greenery, with virtually every tropical fruit tree and flower imaginable, and the many colorful birds, some of which are found nowhere else on the planet, make this eco-village a magnificent gateway to La Sierra. I have made two trips up the mountain to Nabusimake, the village that is the capital of the Arhuaco nation. 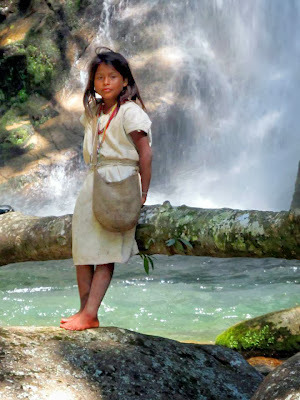 The Arhuacos have lived in virtual isolation for more than 500 years, and even today their suspicion of outsiders I evident, with the road into the village being almost impassable. A very rough 2-hour off-road trip by Toyota Land Cruiser is the only way in. But the beautiful pastoral valley that would be my home and my classroom for the week was worth every bump and twist and turn in the road. The virtual lack of anything “modern” – no electricity, no vehicular traffic – and the myriad farm animals wandering the valley between the thatched huts creates a scene that takes one delightfully back in time. I will be making the trip into the Nabusimake valley approximately once a month, to live with the villagers and to learn directly from the Mamos. 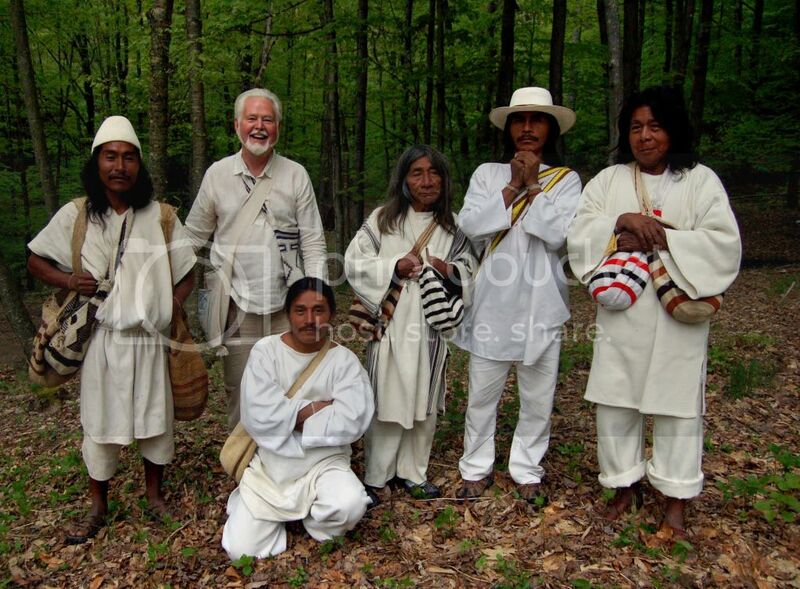 The Mamos of the four pueblos have agreed to teach me what they call the natural law, and to convey to me their spiritual and environmental message so that I may in turn convey it to the world in a new book. 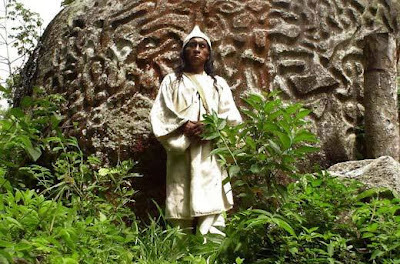 I will also be visiting the villages of the other three indigenous peoples of La Sierra, to eventually receive teachings from the Mamos of all four pueblos. In addition to receiving spiritual teachings from the Mamos, I have been engaged in preliminary research for the book, visiting the Botanical Garden in Medellin, visiting with the curator of the butterfly house as well as learning about the myriad plants and trees and flowers of Colombia. Ad I have been learning about the birds from noted birding guides in Minca – a world-renowned birding destination. It is my intent to write a mytho-poetic epic novel that will be aimed at a Young Adult audience, and which will be something of a fantasy adventure, with talking butterflies, birds and tress encountered by the “hero” along the way. The protagonist will also travel back and forth between past, present and future lives where he will experience all that he will be learning about the nature of our Earth Mother and the impact the Younger Brother (namely you and I..!) are having on Her long-term well-being. They came to New York with a message for the peoples of the world – that their world, your world and my world, is in serious jeopardy. And the cause is not climate change or the over-use of fossil fuels. No, the problem - and the solution to the problem - is a spiritual one. Below are a couple of videos and an excerpt from a book by another new friend, Wade Davis, Explorer-in-Residence with the National Geographic Society. Together the video clips and the writings provide something of an introduction to the amazing peoples of La Sierra. One of the intense pleasures of travel is the opportunity to live amongst peoples who have not forgotten the old ways, who still feel their past in the wind, touch it in stones polished by rain, taste it in the bitter leaves of plants. Just to know that, in the Amazon, the Jaguar shaman still journey beyond the Milky Way, that the myths of the Inuit elders still resonate with meaning, that the Buddhists in Tibet still pursue the breath of the Dharma is to remember the central revelation of anthropology: the idea that the social world in which we live does not exist in some absolute sense, but rather is simply one model of reality, the consequence of one set of intellectual and spiritual choices that our particular cultural lineage made, however successfully, many generations ago. But whether we travel with the nomadic Penan in the forests of Borneo, a Vodoun acolyte in Haiti, a curandero in the high Andes of Peru, a Tamashek caravanseri in the red sands of the Saraha, or a yak herder on the slopes of Chomolungma, all these peoples teach us that there are other options, other possibilities, other ways of thinking and interacting with the earth. This is an idea that can only fill us with hope. Together the myriad cultures make up an intellectual and spiritual web of life that envelopes the planet and is every bit as important to the well-being of the planet as is the biological web of life that we know as the biosphere. You might think of this social web of life as an “ethnosphere,” a term perhaps best defined as the sum total of all thoughts and intuitions, myths and beliefs, ideas and inspirations brought into being by the human imagination since the dawn of consciousness. The ethnosphere is humanity’s greatest legacy. It is the product of our dreams, the embodiment of our hopes, the symbol of all we are and all that we, as a wildly inquisitive and astonishingly adaptive species, have created. And just as the biosphere, the biological matrix of life, is being severely eroded by the destruction of habitat and animal species, so too is the ethnosphere, only at a far greater rate. Of the 7,000 languages spoken today, fully half are not being taught to children. Effectively, unless something changes, they will disappear within our lifetimes. What this really means is that within a generation or two, we will be witnessing the loss of fully half of humanity’s social, cultural and intellectual legacy. This is the hidden backdrop of our age. 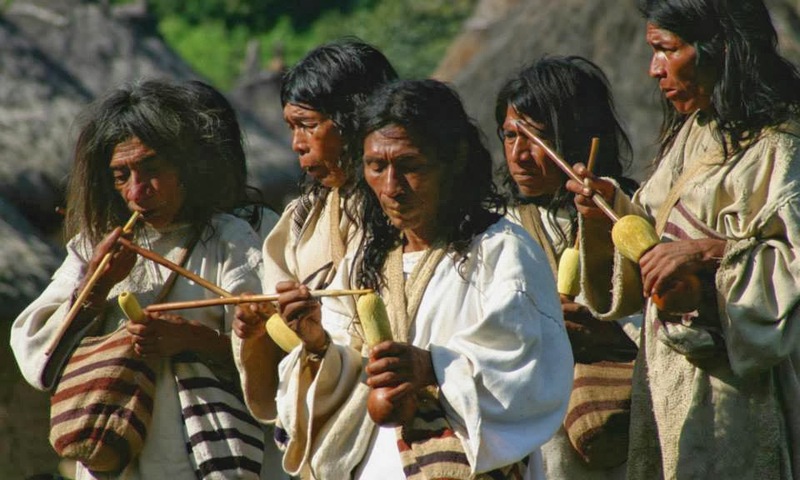 …there is one place in South America where the pre-Columbian voice remains direct and pure, unfettered by any filter save the slow turning of the world. In a bloodstained continent, the Indians of the Sierra Nevada de Santa Marta were never fully vanquished by the Spaniards. Descendants of an ancient civilization called the Tairona and numbering perhaps 30,000 today, the Kogi, Arhuacos and Wiwa long ago escaped death and pestilence to settle in a mountain paradise that soars 6,000 metres above the Caribbean coastal plain of Columbia. There, over the course of 500 years, they were inspired by an utterly new dream of the earth, a revelation that affirmed the existence of eternal laws that balanced the baroque potential of the human and spirit with all the forces of nature. The three peoples, separated by language but closely related by myth and memory, share a common adaptation and the same fundamental religions convictions. 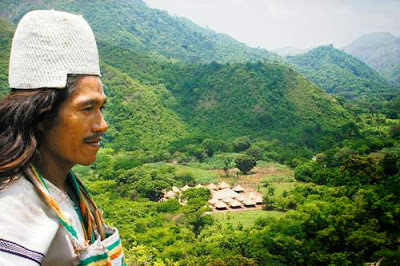 To this day they remain true to their ancient laws – the moral, ecological and spiritual dictates of the Serankua and the Great Mother – and are still led and inspired by a ritual priesthood of mamos. They believe and acknowledge explicitly that they are the guardians of the world, that their rituals maintain the balance and fertility of life. They are fully aware that their common ancestors, the Tairona, in 1591 waged fierce but futile war against the invaders. In their mountain redoubt, lost to history for at least three centuries, they chose deliberately to transform their civilization into a devotional culture of peace. When the mamos (or priests) speak, they instantly reveal that their reference points are not of our world. They refer to Columbus as if his arrival were a recent event. They talk of the Great Mother as if she were alive – and for them she is, resonant and manifest in every instant in their concept of aluna, a word that translates as water, earth, matter, generative spirit, life force. What is important, what has ultimate value, what gives life purpose is not what is measured and seen but what exists in the realm of aluna, the abstract dimension of meaning. The nine-layered universe, the nine-tiered temple, the nine months a child spends in its mother’s womb are all reflections of the divine creation, and each informs the others. Thus a liana is also a snake, the mountains a model of the cosmos. The conical hats worn by the Arhuaco men represent the snowfields of the sacred peaks. The hairs on a person’s body echo the forest trees that cover the mountain flanks. Every element of nature is imbued with higher significance, such that even the most modest of creatures can be seen as a teacher, and the smallest grain of sand is a mirror of the universe. In this cosmic scheme people are vital, for it is only through the human heart and imagination that the Great Mother may become manifest. For the Indians of the Sierra Nevada de Santa Marta, people are not the problem but the solution. They call themselves the Elder Brothers and consider themselves to be the “heart of the world.” We outsiders who threaten the earth through our ignorance of the sacred law are dismissed as the Younger Brothers. In many ways the homeland of the Kogi, Arhuacos and Wiwa is indeed a microcosm of the world and thus metaphorically its symbolic heart. 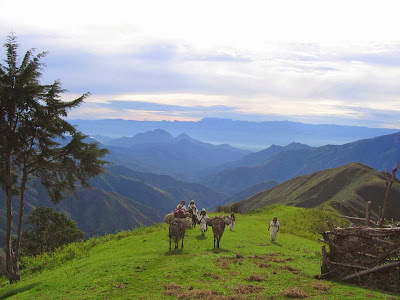 The Sierra Nevada de Santa Marta is the highest coastal mountain formation on earth. Geographically unconnected to the Andes, which form the Columbian frontier with Venezuela to the east, it floats on its own tectonic plate, triangular in outline, 150 kilometres to each side, attached to the South American continent but separated from it by rift valleys on all sides. Drained by thirty-five major watersheds, with a total area of more than 20,000 square kilometres, the massif rises within 50 kilometres from the sea to summit ice. Within its undulating folds and deep valleys may be found representatives of virtually every major ecosystem on the planet. There are coral reefs and mangrove swamps on the coast, tropical rainforests on the western flanks, deserts in the north, dry scrublands to the east, and soaring above all in the clouds and blowing rain, the alpine tundra and the snowfields where the priests go to make prayers and offerings. 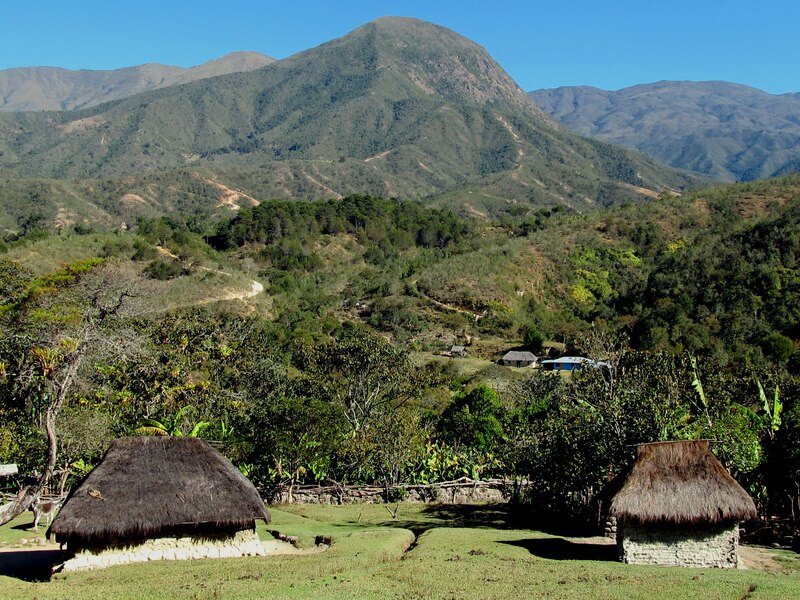 Close to the equator, with twelve hours of daylight and twelve of darkness, with six months of rain and six months without, the Sierra Nevada de Santa Marta is a world of balance and harmony – exactly, the Indians maintain, as the Great Mother intended it to be. According to myth, the mountains were dreamed into existence when the Great Mother spun her thoughts and conceived the nine layers of the universe. To stabilize the world, she thrust her spindle into its axis and lifted up the massif. Then, uncoiling a length of cotton thread, she delineated the horizons of the civilized world, tracing a circle around the base of the Sierra Nevada, which she declared to be the homeland of her children. This primordial act of creation is never forgotten. The loom, the act of spinning, the notion of a community woven into the fabric of a landscape, are for the people of the Sierra vital and living metaphors that consciously guide and direct their lives. They survive as farmers, and in order to exploit diverse agricultural zones, they are constantly on the move, harvesting manioc, maize, coffee, sugar and pineapples in the hot lowlands, planting potatoes and onions in the cold mist of the cloud forests, climbing higher still to graze cattle and gather thatch. They refer to these wanderings as threads, with the notion that over time a community lays down a protective cloak upon the earth. When they establish a garden, the women sow the southern half by planting in rows parallel to the sides of the plot. The men, responsible for the northern half, establish rows perpendicular to those laid down by the women, such that the two halves if folded one upon the other would produce a fabric. The garden is a piece of cloth. When the people pray they clasp in their hands small bundles of white cotton, symbols of the Great Mother who taught them to spin. The circular movement of hands in prayer recalls the moment when the Great Mother spun the universe into being. Her commandment was to protect everything she had woven. This was her law. 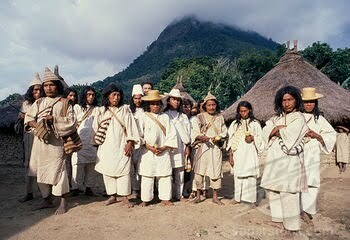 Those charged with the duty of leading all human beings in the ways of Serankua are the mamos, and their religious training is intense. The young acolytes are taken from their families at a young age, and then sequestered in a shadowy world of darkness, inside the kanˊkurua, the men’s temple, or in the immediate environs, for eighteen years – two periods of nine years that explicitly recall the nine months of gestation in a mother’s womb. Throughout their initiation, the acolytes are in the womb of the Great Mother, and for all those years the world exists only as an abstraction. They are enculturated into the realm of the sacred as they learn that their rituals and prayers alone maintain the cosmic and ecological balance of the world. After his arduous transformation, the young man is taken on a pilgrimage from the sea to the ice, from the cloud forests up through the rock and tussock grass to the páramo, the gateway to the heart of the world. For the first time in his life he sees the world not as an abstraction but as it actually exists in all its stunning beauty. The message is clear: It is his to protect. From the coast he carries cotton, shells, and the pods of tropical plants to make pagamientos, or payments, at high sacred lakes where the wind is the breath of the Great Mother, and spirit guardians dwell, those with the responsibility of enforcing her laws. The offerings preserve life in all its manifestations. The pure thoughts of the pilgrim are as of seeds. From the páramo, he gathers to take back to the sea herbs and leaves of espeletia, a plant known in Spanish as “the friar,” because seen from a distance it can be mistaken for the silhouette of a man, a wandering monk lost in the swirling clouds and mist. Pilgrimage, movement through the landscape, is for the Elder Brothers a constant gesture of affirmation that binds together humans and nature in a single web of reciprocity. 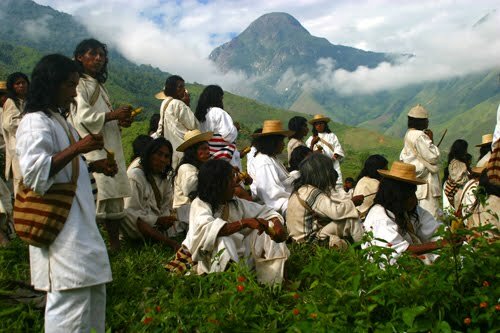 Since Columbus, the people of the Sierra have watched in horror as outsiders violate the Great Mother, tearing down the forests, which they perceive to be the skin and fabric of her body, to establish plantations of foreign crops – bananas and sugar cane, marijuana, and now coca for the illicit production of cocaine. Drawn by the profits of the coca trade, and pursued by the military, leftist guerrillas and right-wing paramilitaries have entered the Sierra and engulfed the Indians. To the Elders, this danger from below is echoed by a threat from on high. The snowfields and glaciers of the Sierra are receding at an alarming rate, transforming the mountain ecology. For us these may seem like quite unrelated developments. But for the Elders they are inextricably linked to each other and to the folly of the Younger Brother, harbingers of the end of the world. It is humbling to think that even as I write these words the mamos of the Elder Brothers, living just two hours by air from Miami Beach, are praying for our well-being and that of the entire earth. One’s inclination upon hearing such an account is to dismiss it as being hopelessly naïve or so impossibly beautiful as to be untrue. This, sadly, has too often been our response to cultures we encounter but do not understand, whose profound complexities are so dazzling as to overwhelm. [These stories] set out to ask “why ancient wisdom matters in the modern world.” The phrase is somewhat flawed, implying if it does that the many remarkable people we have encountered are somehow vestigial, archaic voices stranded in time, having at best a vague advisory role to play in contemporary life. In truth, all the cultures I have referenced in these lectures – the Tibetans and the San, the Arhuacos, Wiwas and Kogi, the Kiowa, Barasana, Makuna, Penan, Rendille, Tahltan, Gitxsan, Wetˊsuwetˊen, Haida, Inuit, and all the peoples of Polynesia – are very much alive and fighting not only for their cultural survival but also to take part in a global dialogue that will define the future of life on earth. There are currently 1,500 languages gathered around the campfire of the Internet and the number is increasing by the week. Why should their voices be heard? There are scores of reasons, many of which I have alluded to at least implicitly in these lectures. But to sum it up, two words will do. Climate change. There is no serious scientist alive who questions the severity and implications of this crisis, or the factors, decisions and priorities that caused it to occur. It has come about because of the consequences of a particular world view. We have for three centuries now, as Thom Hartmann has written, consumed the ancient sunlight of the world. Our economic models are projections and arrows when they should be circles. To define perpetual growth on a finite planet as the sole measure of economic well-being is to engage in a form of slow collective suicide. To deny or exclude from the calculus of governance and economy the costs of violating the biological support systems of life is the logic of delusion. These voices matter because they can still be heard to remind us that there are indeed alternatives, other ways of orienting human beings in social, spiritual, and ecological space. This is not to suggest naively that we abandon everything and attempt to mimic the ways of non-industrial societies, or that any culture be asked to forfeit its right to benefit from the genius of technology. It is rather to draw inspiration and comfort from the fact that the path we have taken is not the only one available, that our destiny therefore is not indelibly written in a set of choices that demonstrably and scientifically have been proven not to be wise. By their very existence the diverse cultures of the world bear witness to the folly of those who say that we cannot change, as we all know we must, the fundamental manner in which we inhabit this planet. ~ from The Wayfinders – Why Ancient Wisdom Matters in the Modern World, by Wade Davis. Wade Davis is an award-winning anthropologist, ethnobotanist, filmmaker and photographer. He currently holds the post of Explorer-in-Residence with the National Geographic Society. He is the bestselling author of The Serpent and the Rainbow, Light at the Top of the World, and One River. 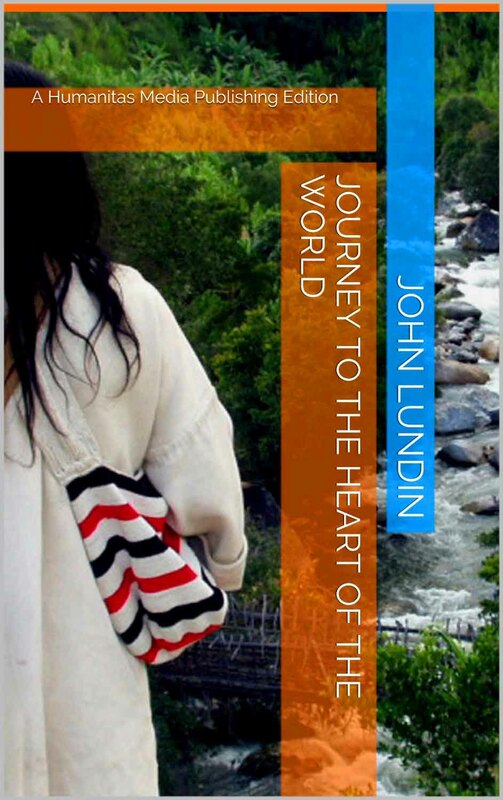 JOHN LUNDIN is the author of THE NEW MANDALA – Eastern Wisdom for Western Living, written with His Holiness the Dalai Lama, and JOURNEY TO THE HEART OF THE WORLD, a spiritual and environmental novel written with the indigenous elders of La Sierra Nevada de Santa Marta in Colombia. 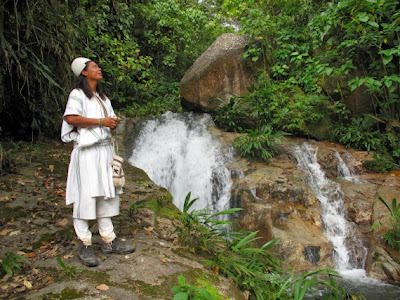 He is an environmental activist, and leads spiritual retreats and writes for several online and print periodicals.